Indian public don’t know what Sonia Gandhi‘s maiden name was, but almost all TV viewing Indians know an Italian name connected with her. Quattrocchi. This man is synonymous with probably the most infamous corruption scandal in India: Bofors. How the Italian angle worked for the multi-million-dollar kickbacks in a major defense deal with Bofors when Rajiv Gandhi was the Prime Minister of India is an open secret. It’s said that Sonia, as Rajiv’s wife, played her role in the scandal from behind the curtain. The case is almost 20 years old. Quattrocchi is believed to have received $ 7 million from the $ 2.1 billion Bofors gun deal. As the chairperson of the coalition that rules India and the president of the party that leads the coalition government, she’s embarrassed and the government is rattled since the news flash that Quattrochi was arrested in Argentina on Feb 6 (he was later released on bail on Feb 23). But the government and the country’s premier investigation agency, CBI, hid the information from the public and the judiciary. A cover up. In the parliament the opposition did all its tricks to expose the government in the matter. Not only the opposition but also some coalition partners of the government are also up in arms, especially the redoubtable CPI (M). Following a petition by an advocate, the Supreme Court of India has sought the Central Government’s response regarding the extradition treaty India has with Argentina. The court sees the issue as “a serious” matter. 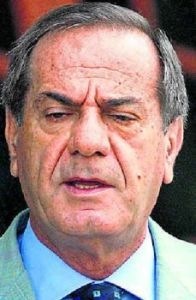 Since Argentina’s track record on extradition is not favorable and the Indian Government’s own commitment to pursuing the case is questionable (although a team of CBI officials from India are already in Argentina), it’s certain that Quattrocchi will go scot-free once again. He’s an escape artist and a survival expert. The Italian Ambassador in Argentina has shot a letter to a court in that country pleading for his release. Quattrocchi is a “much-decorated citizen of Italy”, a “knight”, the Ambassador said.